When the smoke clears (literally – I frequently hunt with a black powder rifle) you have hopefully made a quick, clean kill on a trophy whitetail or mule deer. All harvested deer are trophies, IMHO, and the animal deserves to be treated with respect. That means field dressing and skinning quickly, so the carcass will cool rapidly, and so none of the meat will spoil. 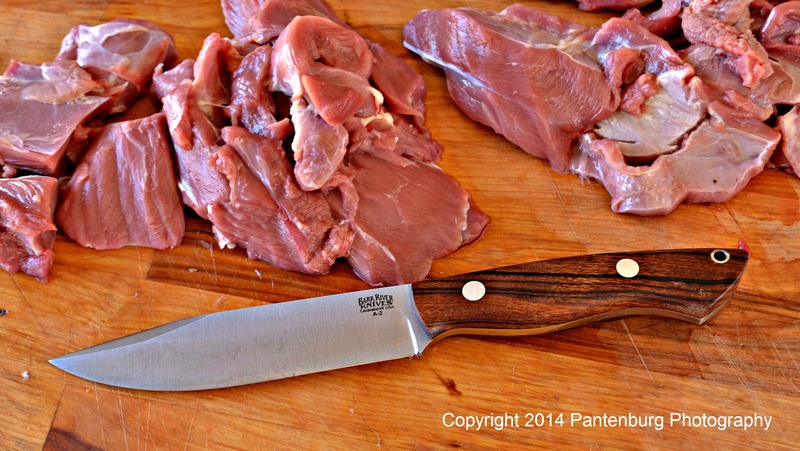 I used these knives during the last year’s deer seasons, and you can depend upon them too. 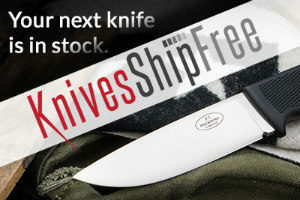 Nobody gave me a free knife to check out, and I was not paid to use any of them or to write a review. None of the makers or distributers had any input into any review. The following are my opinions, and all I ever promise anyone is a fair shake. Some of these knives were used in combination with other knives. Others did all the work themselves. All of them are winners. This Hemphill Custom Damascus was used hard and it worked very well. Jesse Hemphill Custom Damascus. My 2017 Oregon deer season lasted about 15 minutes. I harvested a nice buck on opening day as soon as I could see the crosshairs of the scope. The knife in my daypack was a Hemphill with a beautiful Damascus blade. 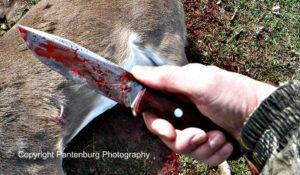 My longtime hunting partner, my brother Mike Pantenburg, was positioning the legs of the buck as I prepared to gut it. “Pretty fancy knife to get all bloody,” he commented. But he’s used to me field testing equipment, and knows that no knife, regardless of beauty is spared from doing its designated tasks. 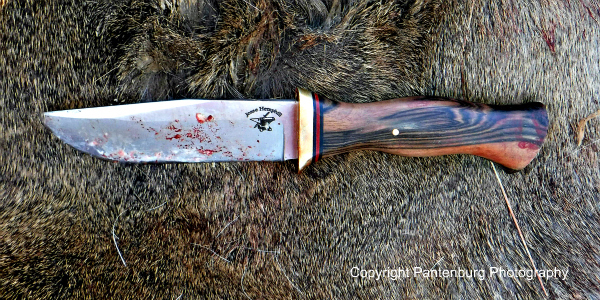 Jesse Hemphill Town Creek II: This knife could easily end up being your favorite deer hunting knife. 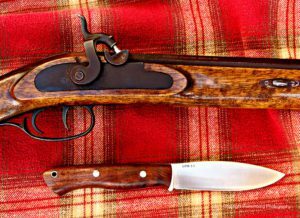 The well-designed, four-inch blade has a nice belly for skinning and the superb Moran handle never got at all slippery or dangerous to use. The handle is great – in addition to the proven design, it also has a large enough diameter for me to use safely with gloves on while it was bloody. 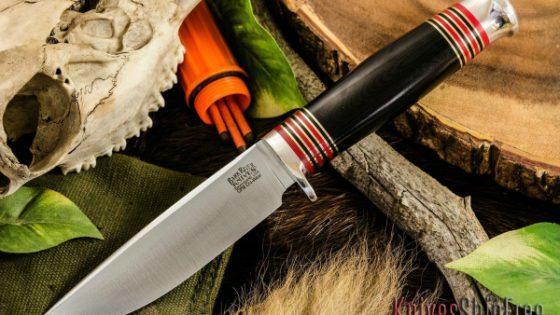 Jesse Hemphill Gator Breaker Bowie: OK, this knife hasn’t been tried on a deer. Yet. But my neighbor harvested an alligator during the Mississippi gator season, and he let me help skin it. 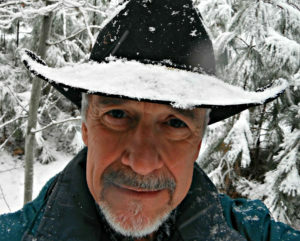 A gator hide is much tougher than either an elk or deer hide, and the Bowie surprised me at how well it worked. An alligator has a lot of tough hide and cartilage that has to be cut through and the Bowie worked very effectively. The edge holding ability of the steel was incredible. Frankly, I’ve never had much use for Bowie knives. IMHO, they’re too big, too heavy to carry and awkward to use. But really, the Bowie is an offshoot of the very common, traditional breaking knife, a standard even today for butchers everywhere. 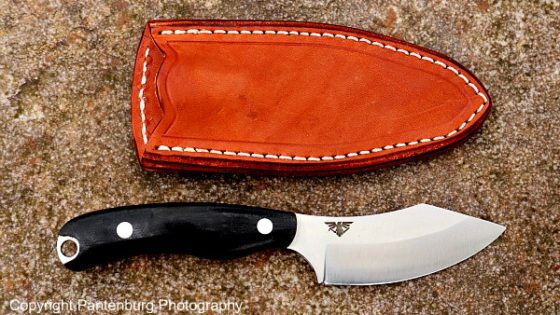 I wouldn’t want to use the Bowie as a gutting knife – it’s too big and long – but you could skin with it, and it would split a deer or elk ribcage easily. It would also quarter and split a large carcass, and it is superb as a slicer. If you need a reason to buy a Bowie, you can use this! Read the Gator Breaker Bowie review. 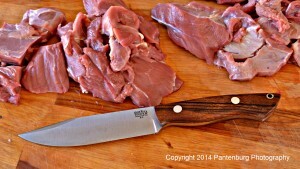 The Bravo 1.25 LT is a superb hunting knife. 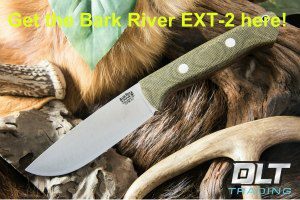 Bark River Bravo 1.25 LT: I eagerly anticipated the arrival of this knife. IMHO a five-inch blade is a great choice for a knife that will be required to do everything. But the idea was always to modify the point. I really like my BR Sahara. But a perfect hunting knife, I thought, would be the Sahara blade design with a Bravo handle. So my Bravo was sent back to the factory for some modifications – I wanted a clip point with swedge. Total cost to me = $15. When I got the modified Bravo back, it looked and felt perfect. And it works wonderfully well. Read the Bravo 1.25 LT review. Bark River Cub: I had just killed a nice whitetail doe. It was raining, the field was muddy, and I was a good mile from the road. There was no one to help get the deer out. I tried dragging her, and got about 10 feet before the mud balled up on my feet stopped me in my tracks. The carcass would have to be reduced to a manageable weight. I dis-jointed the lower legs, gutted and skinned the carcass, cut off the head, split the ribcage, then quartered it. Now reduced to a more manageable weight, I could drag the meat out. On deep swamp hunts, I don’t carry an ounce of excess weight. In this case, the Cub proved to be just the knife I needed. Read the Bark River Cub review. L.T. 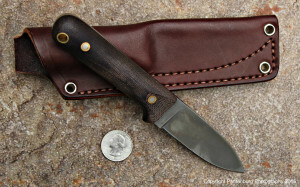 Wright Next Gen: This small knife proved to be an excellent skinner on a deer and an alligator. Given a choice, I will generally go with a large, four-to-six inch blade main knife, and possibly a smaller backup knife that is also a skinner. A hunter who prefers a shorter blade, but still wants a usable handle, should take a look at the Next Gen. There is no doubt in my mind that the Next Gen could easily be your prime deer hunting blade. 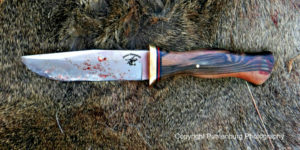 One of my very successful elk hunting buddies uses a three-inch folder to handle all his hunting needs, and many hunters will tell you that a three-inch blade is all you need for gutting and skinning. A strong feature of the Next Gen is the large, generous handle. 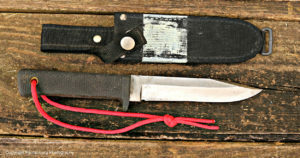 The micarta handle gets “grippy” when wet, and there is no danger of losing control of the blade. Helle Hawk: I’m a big fan of the Scandinavian style knives. The design on these goes back 1,000 years to the Vikings and square sailed ships. These knives are designed to be users, though many, like the Helle are also very pretty. The Hawk is a puukko. The design of the puukko is attributed to the indigenous Sami people, who lived in Finland, and created several knives to use for day to day tasks; the puukko was the smaller option, used to skin fish or animals. This Helle Hawk was a great alligator skinner. Scandinavian knives feature a large, generous handle, a three-to-four-inch blade, Scandi grind, superior steel and a dangler sheath. I used this Hawk to put down a deer that had been hit by a car on the highway. The Hawk was the only tool available, and it worked quickly and effectively to end the animal’s suffering. The Great Plains rifle, and Ambush Tundra have been used on several deer. That leads to my bucket entry. Three decades ago, I was hunting deer with my blackpowder Lyman Great Plains Rifle in a steep, brushy ravine in Warren County, Mississippi. I found a huge walnut log, and told the landowner. Turns out, he already knew about the log and where it was. The problem was getting it out. Fast forward to 2010: The log had been hauled out of the timber and milled. I snagged a piece for a special knife handle project. I sent the wood to Pete Winkler, and asked him to make a bigger handle for my Tundra. I had already sent the Tundra back to the Bark River factory to get it re-ground into a full convex grind. 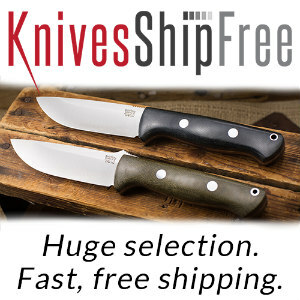 Lon Humphrey Stirling: For his fiftieth birthday, I told my brother Mike to pick a knife from the Knivesshipfree.com catalog. Mike knows knives, and has tried out several of mine. 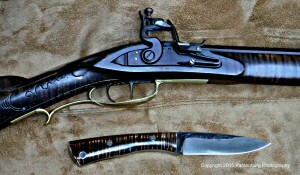 The Stirling matches my flintlock almost exactly. I really enjoy using them together. Mike chose a Stirling. 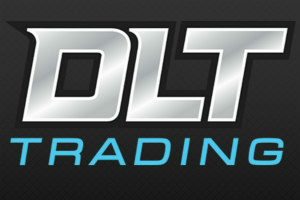 It was an easy sell as soon as Mike saw how cool mine looked with my Great Plains Rifle. Early in his hunting career, which started at age 12, I started grooming Mike to be a good hunting partner. I gave him a Lyman Great Plains Rifle for his high school graduation present, and made sure he got started with blackpowder hunting. We’ve hunted elk and deer all over Idaho and Oregon together. The Stirling is for the hunter who wants a solid, reliable hunting knife with a traditional look. The four-inch forged blade has a drop point, and the hammer and forge marks are really good-looking. The generous handle makes for a solid, safe grip. Mike helped skin my Oregon buck with his Sterling, and we were both impressed with how well it worked and held an edge. Mike has used his Sterling a lot, and it may end up becoming his favorite knife. Read the Lon Humphrey Sterling review. Old Favorites: Some of these old reliables deserve mention just because they have served me so well in the past. Mora: The Mora is included because the knife is so affordable and the design is so useful. 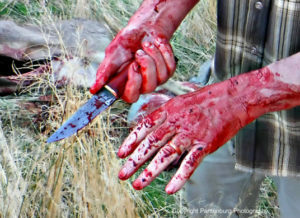 A hunting partner of mine has used his 840 on several big game animals, but he’s also a physician and probably has above-average knife handling skills! Check out the Mora review. This SRK has served me well for more than 20 years. Cold Steel SRK: I bought this knife in 1991, and used it exclusively for more than 20 years. My SRK has field dressed at least 50 deer, and has been used on several elk. It rests in honored retirement while the newbies are tested and tried, but there is no replacement in sight for the old SRK. The Sahara is a working knife, no matter how attractive it is. 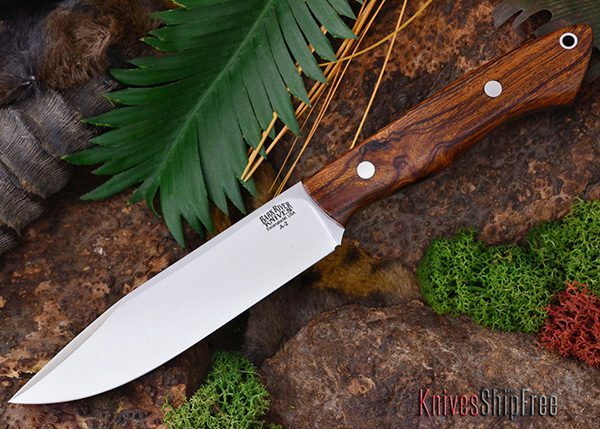 Bark River Sahara: I don’t know why this knife is not more popular. To the amazement of my hunting buddies, and me, I was able to split the ribcage of a bull elk with my Sahara while field dressing it. There was no pounding, hammering, twisting or anything like that. The knife just worked. My preferences in deer hunting knives will most likely be different than yours (And this is a topic that should be hashed out around a campfire.) You’ll see a definite pattern, and it’s pretty evident that I want a rigid, four-to-five-inch, clip or drop point with a blade of high carbon or tool steel. Within those perimeters, there are a lot of variations. So here’s what I’d suggest. 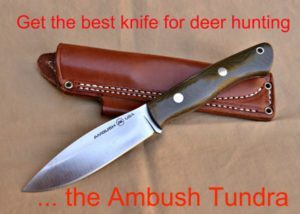 This is not a top ten list of knives for deer hunters, and take my opinions with a grain of salt. My favorites are probably not yours, so do some research, then pick a knife you like and will enjoy carrying and using. 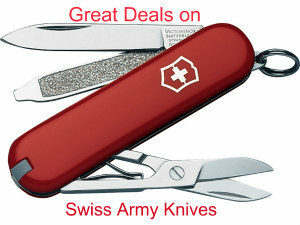 That is the best deer hunting knife for you!